If you own a PSP and have never played either of the first two Patapon games, then it’s safe to say you’re missing out. These titles, which combine the rhythm genre with strategy elements, have both won back-to-back game of the year awards. Easily two of the most addictive, engaging titles on Sony’s gaming handheld, the Patapon series is known to literally steal hours of gamers’ time away. It looks like we’re in for more addicting drum-beating, because Patapon 3 is on its way to the PSP, and it features the same great gameplay with a few new features and a slightly altered look. 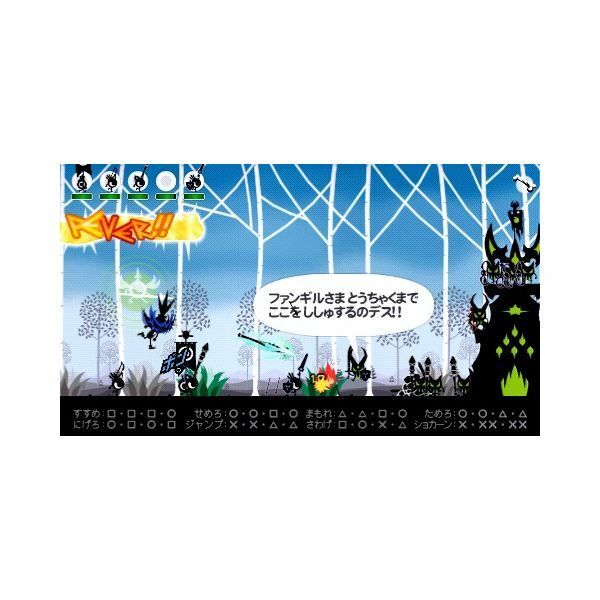 Patapon 3 plays largely the same as its two predecessors. Using the face buttons on the PSP, you tap along to the beat of the game, which causes your troops to attack enemies and defend themselves against the opposition’s offense. It’s a game design that’s proven to be insanely addictive in the past, so it’s a good thing the devs aren’t changing things up drastically. Rather than playing as an omnipotent being, Patapon 3 puts you right on the battlefield with your troops. When you begin the game, you must choose one of three different leaders. 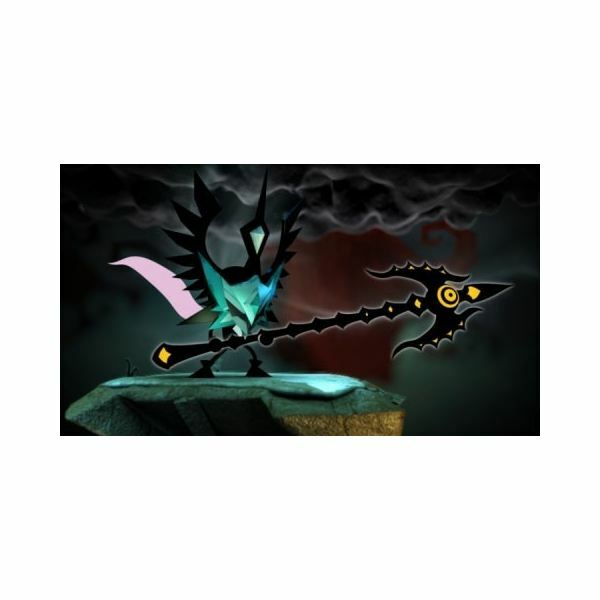 Each of these legendary heroes wields a different weapon. Your three options to choose from are bow, spear, and a sword and shield combination. Details on the three masked heroes are scarce at the moment, but it is likely that each of these characters has its own special abilities. Though you can take on all of the game’s missions alone, Patapon 3 puts more emphasis on the multiplayer aspect than the previous game. A total of eight players can get together to take on the game’s levels either online or locally. If you’re feeling competitive, you can participate in four-on-four battles. 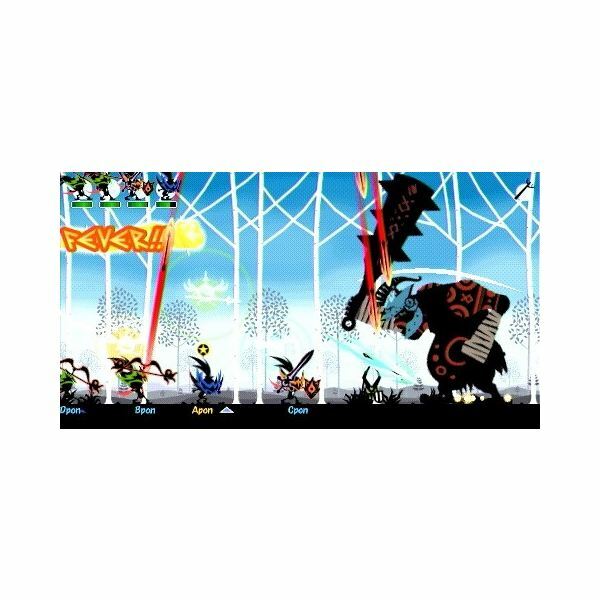 This focus on multiplayer is new for the series, and although you can do things lone wolf-style, Patapon 3 greatly encourages multiplayer gaming. The story in Patapon 3 is a bit less lighthearted than in previous games. Immediately after the end of Patapon 2, seven evil spirits were released and began causing mayhem. It is up to you to make everything right in the world once again. And what a dark world it has become! The art style of Patapon 3 is still colorful, but backgrounds are now eerier and more realistic, featuring massive rolling clouds and petrified soldiers. Patapon 3 looks to follow in the footsteps of its predecessors by bringing yet another highly enjoyable and addictive rhythm/strategy hybrid adventure to the PSP. The darker tones and multiplayer focus are a change for the series, but the game looks solid overall thus far. 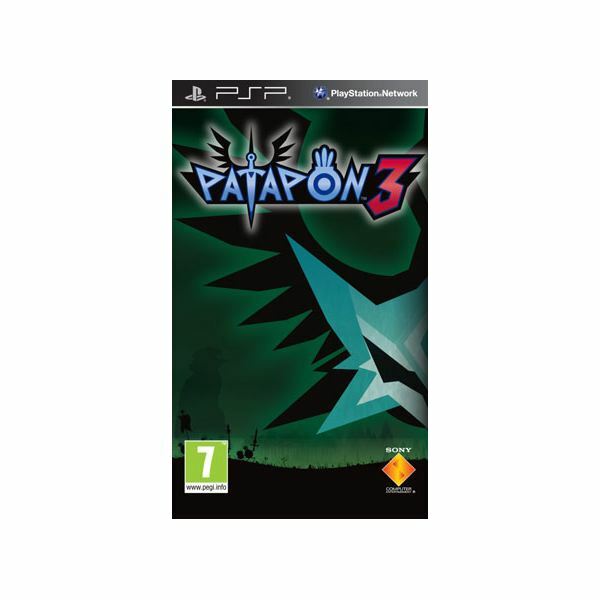 Patapon 3 is scheduled to land on the PSP on March 9, 2011. Watch out for it. A collection of articles about Patapon 1, 2 & 3.